February 21, 2017 1582 × 1498 The Illuminator Comic: A few decision trees. 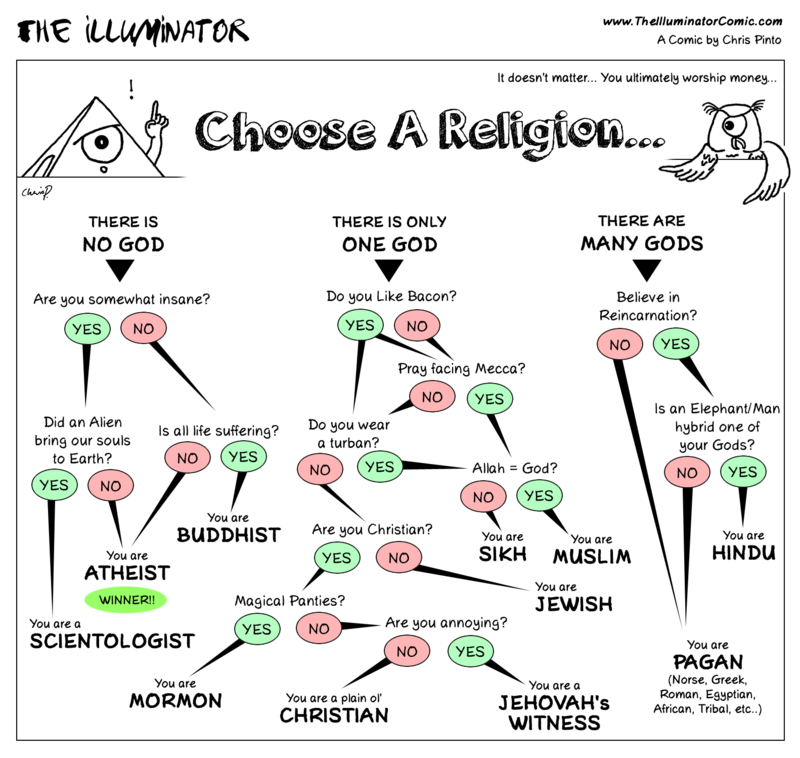 In reality there is no religion to choose from because there is no such thing. Religion came about to explain the unexplainable an to act as a mental crutch a father figure to get those not so mentaly strong through life (the rest of the world needs to man up).